Bless Them That Curse You is a collaborative album from Chicago's Locrian and Seattle's Mamiffer. These two groups work at different ends of the experimental music spectrum. As Locrian, Terence Hannum, Andre Foisy and Steven Hess have been prolifically prodigious crafting such dark improvised ambient and guitar work such as Territories, The Drowned World and The Clearing. Mamiffer featuring Faith Coloccia (formerly of Everlovely Lightningheart) together with husband Aaron Turner (of Isis fame and the fantastic noise project Grey Machine with JK Broadrick and Dave Cochrane) create expressive, atmospheric ambience centred around Coloccia's tender piano scores partly informed by Coloccia's spiritual beliefs. Even though both groups share an affinity for blurred dissonance, Bless Them That Curse You combines there different approaches with intuitive startling results. Opening with textured atmospherics and sombre chanting of Tibetan monks, 'In Fulminic Blaze' slips into chiming acoustic guitar; its light sprinkling of guitar notes shadowed by piano. Capturing an almost processional feel with pounding drums, atmospheric guitar textures play off against the acoustic strum as it slides effortlessly into soaring riffing guitar to powerful pounding drums. It, like much of Bless Them That Curse You, is far removed from any generic metal mannerisms. The entire thing appears to capture the essence of the elements with a natural, primal grace - a feeling conveyed by much of Bless Them That Curse You. 'Bless Them That Curse You', the title track, opens with tension and ends in solace. The twisted, gnawing sound comprising the opening segment merges with a cyclical pattern of electronic bells, underpinned with moaning and buzzing electronic textures, just as a softer, gentler ambience rises from underneath. 'Corpus Luteum' is reduced to a series of tinkling icy piano notes alongside the intermittent strum of a stringed instrument. Underneath, the Mamiffer instruments you can hear the guitar atmospherics of Locrian hovering; poised to make a move. Nothing is rushed here, though. The piano notes and guitar hum are given space to play out, with only textures and the occasional jolt of feedback piercing the solemn atmosphere. Hanging piano chords can be found on 'Lechatelierite', too. This time, however, they are played out to the sound of thunder storms - something that waylaid the projected rehearsals for the recording. Perhaps the albums most experimental track is 'Second Burial'. Unfurling at a slow, slow pace the entire track bristles with abstract sound sources in almost electro-acoustic style: Dissonant guitar notes, scratchy electronic textures, intermittent drum beats, smashed and crushed effects, with shorts bursts of feedback and livewire distortion. 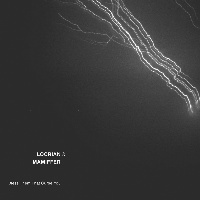 Like other Locrian releases there are elements of electronic noise, guitar feedback, industrial percussion, dark ambience to be found amidst the heavy, heady atmospherics. Listening to Bless Them That Curse You it's clear that the preceding tracks as a premise to the stunning final track, 'Metis/Amaranthine/The Emperor'. Opening, once again, with piano chords this time accompanied by the breathy vocals of Faith Coloccia. The initial feeling is of melancholy, but after five minutes or so, massed backing voices appear which only accentuate the atmosphere. A little later, pounding drums enter and disappear just as jolts of guitar fuzz and noise appear. At the hands of Locrian, you can be assured this is carefully controlled discordance. Nothing dispels the mood. Everything has its moment even when pounding drums return accompanied by gravel-shredding vocals aching over the torturous atmospherics. Even here the guitar parts never dominate remaining resolutely part of the atmosphere. With the fluid shifts in sound, this closing track encompasses the best of this collaboration, which really is saying something. It seems because of the personnel involved Bless Them That Curse You is regarded as something of a metal release, or at least posits its starting point. That, however, doesn't account for me hearing elements of Current 93 and Fovea Hex amidst the improvisation of this inspired collaboration. Bless Them That Curse You entwines the best elements of both Locrian and Mamiffer with shifts and contrasts blurring the distinctions between groups. The result is a most agreeable collaboration that really needs to be heard. I really think a lot of our readers would enjoy this, so I've got no hesitation in recommending this one. Wonderful, wonderful stuff and it's available on multiple formats too. For more information go to www.utechrecords.com for vinyl www.profoundlorerecords.com for CD and sigerecords.blogspot.co.uk for cassette.